(1968, aka THE MOMENT TO KILL) George Hilton, Walter Barnes, Horst Frank, Loni von Friedl. 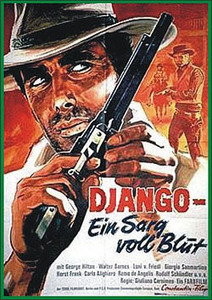 A solid spaghetti western! Hilton as Django (here called Lord) sets out to discover the location of a fortune in missing gold. Barnes plays Bull, his big burly sidekick. Frank is the western firebrand who stands in their way. The beautiful von Friedl is good as the mysterious heroine who has many secrets. The opening title song is terrific, to say the least. Widescreen, from 35mm.